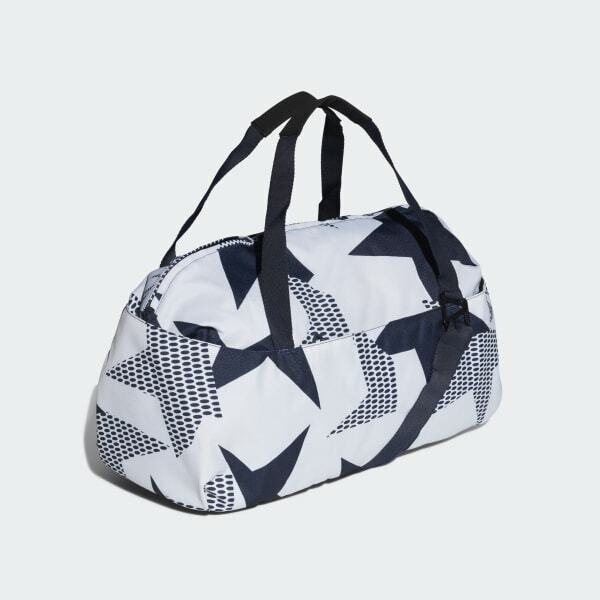 A spacious duffel bag inspired by Stella McCartney's distinctive style. 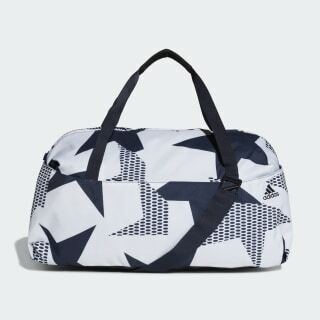 Everything has a place in this roomy duffel bag. Outer pockets stow your water bottle and small essentials. The inner organiser sorts out all your gear, and an interior pocket isolates your shoes. The lively artwork is inspired by Stella McCartney's distinctive style.